Norma Smayda's wall hanging and Jan Doyle's two costumes were purchased by Thousand Islands Art Center this winter. The decision to purchase the pieces came about when four members of the Thousand Islands Art Center and Handweaving Museum, in Clayton, NY, visited Hera Gallery last September to see our exhibit, The Shape of Weaving. 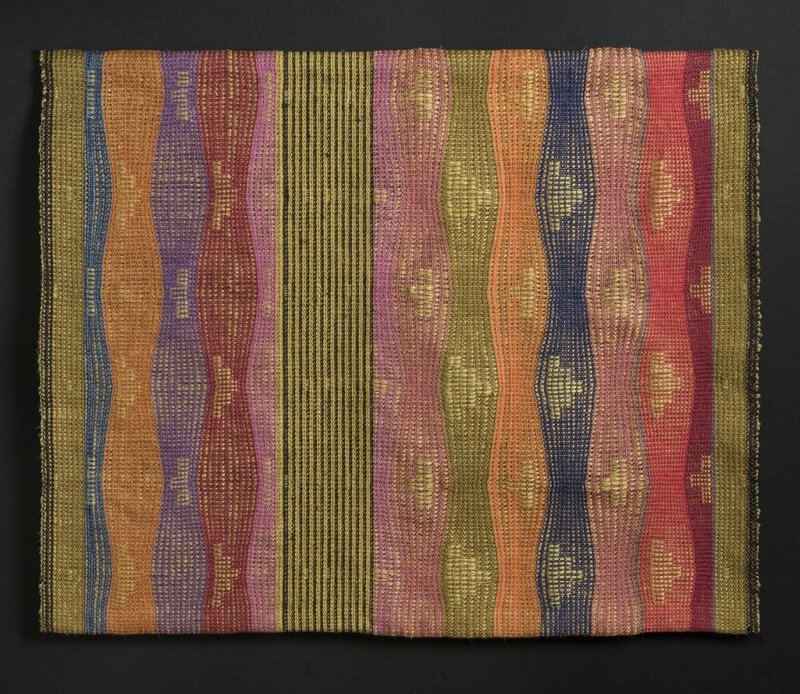 This is called Deve boynu, and is an 8-shaft linen summer and winter ondulé wall hanging, woven with a fan reed.